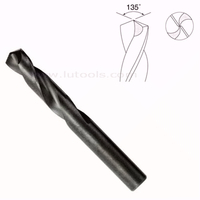 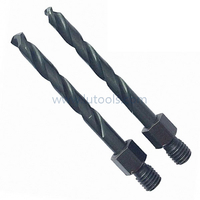 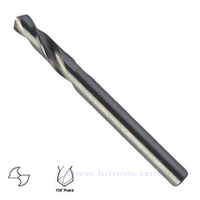 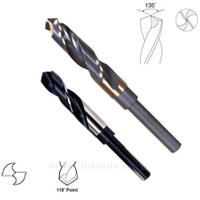 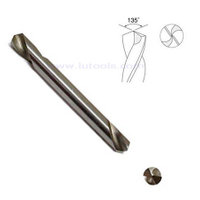 Titanium Coated HSS Straight Shank Twist Drill Bits - Buy twist drill, titanium drill, fully ground drill Product on Quality drill bits, saw blades and other power tools accessories supplier! 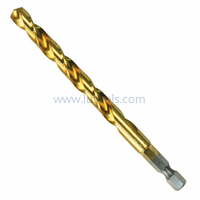 The twist drill is the most common type of drill. 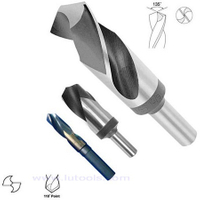 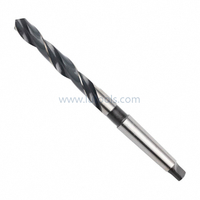 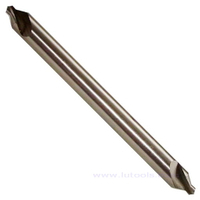 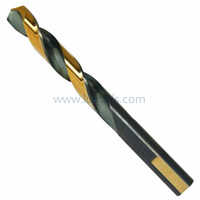 The shank of the drill is held by the machine tool, which in turn imparts a rotary motion. 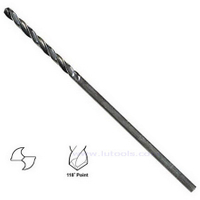 This shank may be straight or tapered. 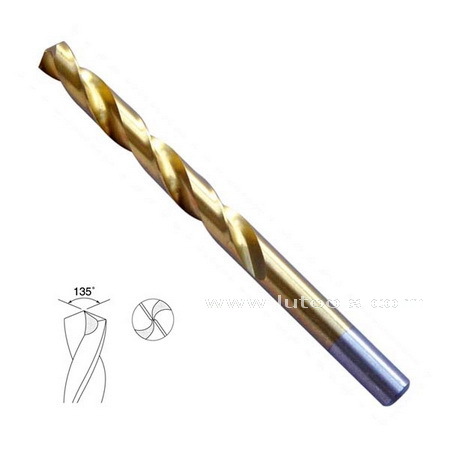 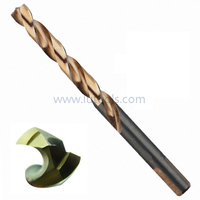 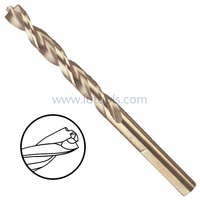 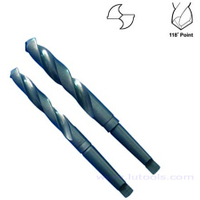 The body of the drill is typically made up of two spiral grooves known as flutes, which are defined by a helix angle that is generally about 30 degree but can vary depending on the material properties of the work piece. 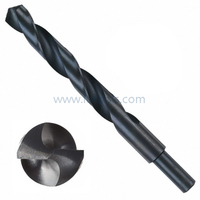 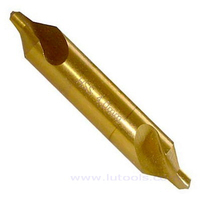 The point of the drill generally form a 118 degree angle and includes a 10 degree clearance angle and chisel edge. 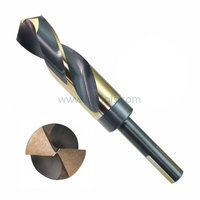 The chisel edge is flat with web thickness of approximately 0.015 x drill diameter. 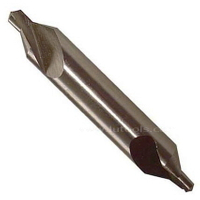 This edge can cause problems in hole location owing to its ability to "walk" on a surface before engaging the work piece. 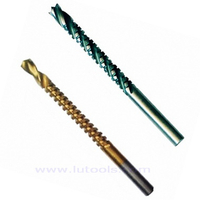 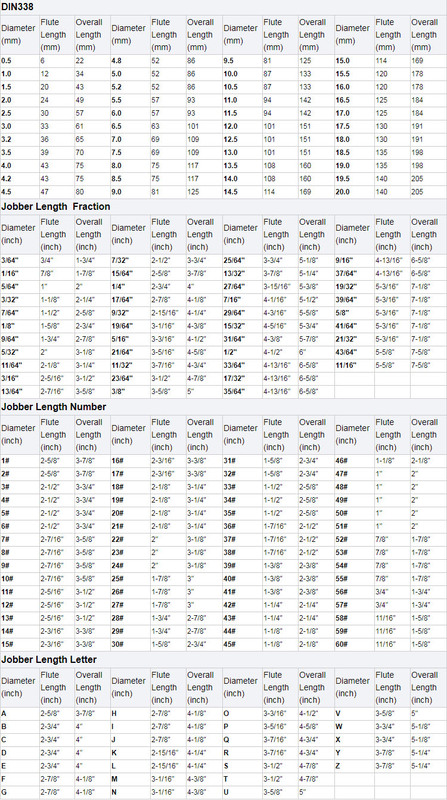 In the case of brittle materials, drill point angles of less than 118 are used, while ductile materials use larger points angles and smaller clearance angles.